In this article, I am gonna list out the details of some of the Best Internet Service Providers in Muzaffarpur. Note that in this article, I am talking only about those providers which installs WiFi and broadband. However, before naming them and reveal their details as well as contact info, let me first talk about why you should install a broadband at home. Right now, Every other SIM company doesn't matter whether its a GSM or LTE doesn't provide you unlimited Internet. 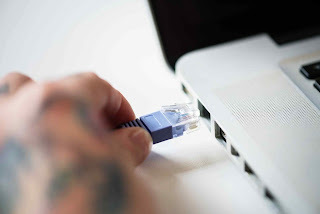 However, if you have a business or high internet consumption in your home, then you must take a broadband connection. Now, Broadband connection these days doesn't requires wiring as 3-4 years ago. Now, ISPs just assemble an external or internal CPI in your home via a long pipe depends on your locality. After installation, they finally provide you an RJ45 cable which you then insert in your laptop or PC to access Internet. However, they also give the option to purchase a WiFi via which you access internet wirelessly in you home. But its all up-to you. Now, let's talk about the Best Internet Service Providers in Muzaffarpur who provides you the above mentioned facility. Let me first name the ISP from which I have taken the Internet Connection, DC Network solution. Talk to Dharmendra Bhaiya the owner of DC Network solution, he will explain you all the details. Let me give you his number i.e. 9525965798. There are other two companies as well to which users gives sufficient reviews so that they fall in our list. The address and contact are below. Address and contact details are given below. In this article, I am gonna list out the details of some of the Best Internet Service Providers in Muzaffarpur to Install Wifi and Broadbands Services.